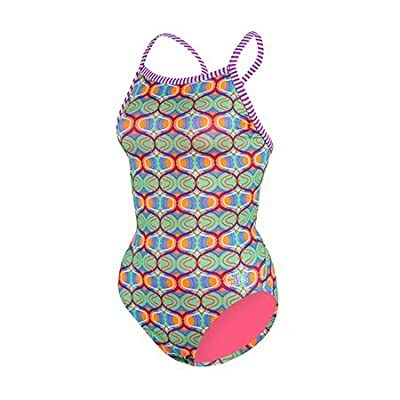 Train in style in the Uglies Women's Firenza V-2 Back Swimsuit. 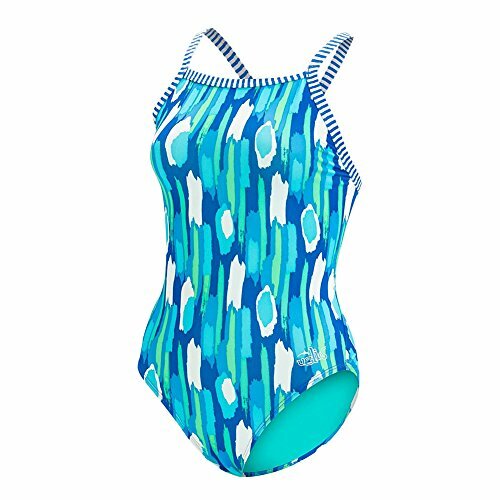 Featuring a bold, bright print and thin straps for comfort and freedom of motion, this suit will help take your training to the next level. 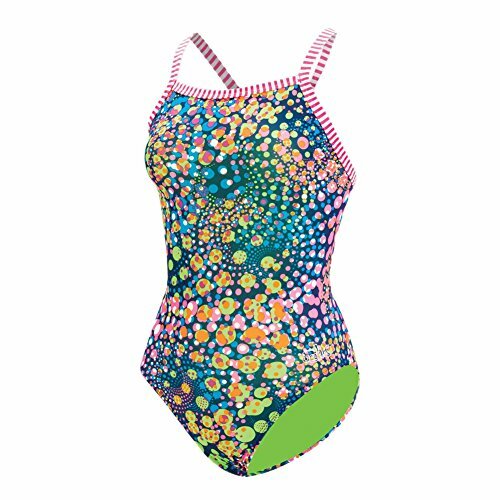 Constructed from long lasting fabric that resists chlorine, the Dolfin Uglies Women's Firenza V-2 Back Swimsuit is built for long hours in the pool. 91% polyester, 9% spandex. Fully lined. Made in China.